Another Airstream pulled into the spot next to us yesterday afternoon. Yay! 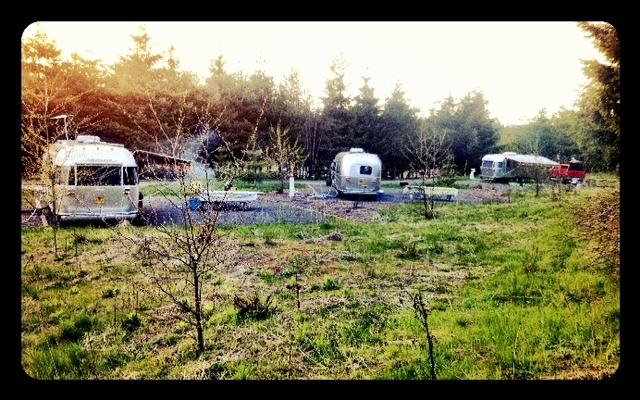 Then, about a half hour later, another Airstream pulled into the spot next to that other Airstream. That never happens in the wild unless it's planned, but none of us knew each other. Now we do!